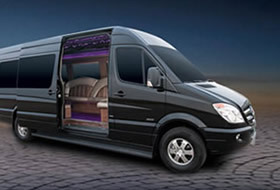 Here are just some of the many services we specialize in at Triangle Limousine. Looking for a way to make your upcoming night on the town all the more fun, festive, and convenient? 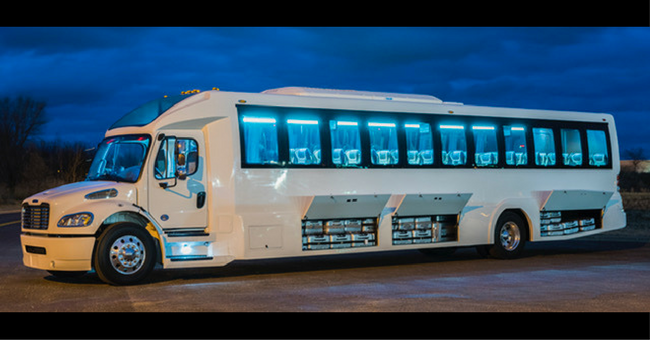 Why not consider a party bus? 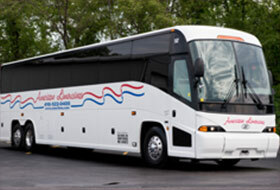 At Triangle Limousine, we provide party bus services for all types of events in Bel Air, MD. Your wedding is one of the most significant days of your life, and you deserve to be the center of attention even before the main event kicks off. At Triangle Limousine, we specialize in offering quality wedding limousine services for our customers. Planning a big night out at a local casino? We’ll help you get there in style. 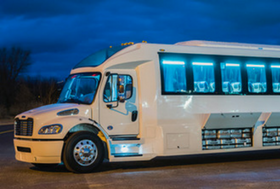 At Triangle Limousine, we offer quality casino limousine services for customers in Bel Air, Harford County, Baltimore and the general Maryland area. Ready for your big day? 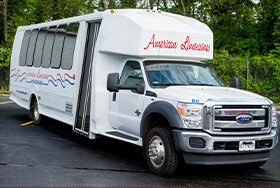 Treat yourself to a safe and carefree experience with Triangle Limousine. Regardless of how you plan on spending your special day, we are equipped to make sure you and your friends arrive on time and in style. A Triangle Limousine specialty. At Triangle Limousine, we value your satisfaction above all else, and we understand that your transportation needs and preferences are unique. Prom night is no exception, we will work with you to ensure we meet and exceed your expectations. Getting to the airport doesn’t have to be stressful. 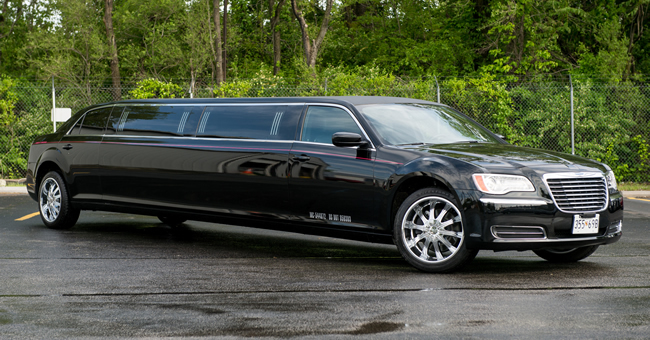 At Triangle Limousine, we offer reliable airport transportation services from the Bel Air, MD area to regional airports, including Baltimore, DC, Philadelphia, and New York City, in comfort and in style. 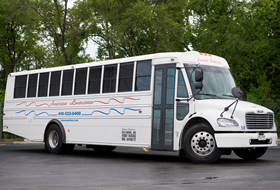 At Triangle Limousine, we’re ready to fill nearly all your local transportation needs. 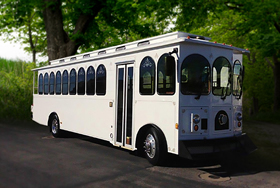 We’re a family-owned and -operated company in Bel Air, MD, that can help you get around town in a style and elegance. 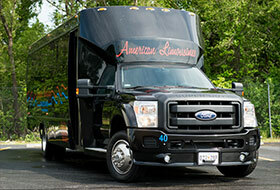 Our limousine drivers know the area well, and they’ll deliver you to your destination relaxed and on time. We welcome you to come and see our vehicles any time, by appointment only, at our office location at 2211 Commerce Road Ste 3, Forest Hill, MD 21050. For an immediate appointment, call (410) 877-0215 . 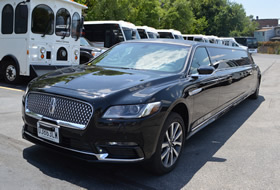 Whether you simply need a one-time ride to the airport or your company would like a limousine on call for entertaining clients, Triangle Limousine is ready to help. We’re fully licensed and insured, and we offer reasonable rates. We proudly serve clients throughout Bel Air and the surrounding areas, so contact us today to schedule your transportation. We are ready to serve you 24/7 and 365 Days per Year! CALL us at (410) 877-0215 you will always get a LIVE customer service representative! If by chance you get our Voice Message Service (which is rare), please simply leave us a message including your Name, Number and a Brief Description of the type of transportation service you need. We promise to return your call within 10 Minutes! For a multi- day occasions we offer free overnight services, call us for details! I can not overstate what a wonderful experience my friends and I had when we hired Triangle for my wife’s birthday bar crawl. Our driver was nothing but polite and accommodating and the limo bus we rode in was absolutely luxurious. I have and will continue to recommend this company to anyone. The driver, Mark, was great and very patient from the moment I got on the phone to inquire. He went WAY above and beyond for me when he didn’t have to. Amazing communication, and got my fiance to his destination in a timely manner. All of this was a last minute trip too!!! Couldn’t have asked for more!!! WILL recommend and WILL keep him in mind for future trips!!! Excellent service!!! I made arrangements for my daughter’s wedding through Triangle Limo. Working with Barbara was a delight. She was very pleasant to deal with and having her help with setting up the arrangements for the date, time and location of wedding made my and my daughter’s wedding experience a good one. Triangle Limo was great. They were 10 to 15 minutes early which was great. We didn’t feel rushed. The ride was smooth. Driver was very polite….I would recommend them! I’d heard about Triangle at a bridal show, and actually won a prize for $200 off the services for my wedding. Even if I had paid full price, the company would have been worth it. Barbara (the office manager) was helpful start to finish, even when I had to make some unforeseen changes due to a death in my family. Our driver, Kurt, was very helpful and friendly. This company was amazing! We only need transportation to since we were getting married at the same time and we had originally booked a 10 passenger limo. The lady was very nice and personable and got me to see how it would be more cost efficient to upgrade to an 18 passenger limo bus! And the driver was great!!! Great prices, amazing customer service, limo was on time, and clean!!! Will be using them again! My night with Triangle Limousine was amazing. Our driver was very nice and professional. He took us into Baltimore safely and was very responsive to all our needs as the night progressed. 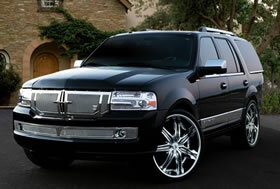 Triangle Limousine will be my only choice for luxury travel in the future.